It's time to celebrate spring in Camden, now that we are finally out of winter and well on our way to warm summer days. There's no better way to welcome a new season than with a fun soiree. Everyone loves to have something like a party to look forward to, so why not play the host? We'll help you do all the planning, so you have no excuse not to! Set up your soiree in the Community Centre so you have the added bonus of being surrounded by the lovely view of the terraces and courtyards when setting up some outdoor activities. Plus, you can invite others from around the community to join in on the fun and meet new people in your retirement village. It's a great way to get the whole community involved! You can transform the Community Centre with just a couple of light touches - cheery yellow tablecloths, white lace doilies and vases filled with fresh spring flowers! When you invite your guests to your soiree, make sure they know there is also a dress code! You'll really enhance the decor when you ensure everyone is suited in their favourite and finest spring attire. Now that it's springtime, we're saying goodbye to the heavy comfort food and hello to something light and fresh! Swap out a pot of hot tea for a pitcher of unsweetened ice tea, and have fresh berries to use as a sweetener. Finger foods and salads should be your go-to meal options. These are typically easy to make and even easier to clean up, so you won't have to worry about making a mess of the community space. Try a menu of fresh spring rolls, cucumber and cream cheese roll ups, watermelon and feta with balsamic dipping sauce, or prosciutto wrapped honeydew and various compilations of fruit salads. You can't beat that! Of course, you can add in any signature dishes of your own if you have any. 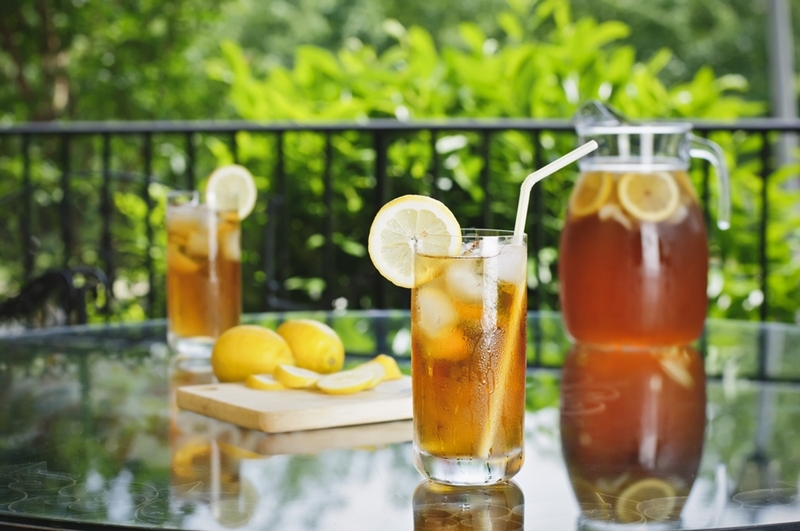 For a refreshing and healthy transition to spring, trade hot tea for iced tea. Inject a bit of energy into the gathering when you add an element of friendly competition into the day! True, Camden has its own billiards room and places for activities, but you'll want to keep the fun central to your soiree, so set up some games right outside in the courtyards. Include fun spring activities like bocce ball and croquet. Inside you can also arrange a poker tournament, because hey, let's face it - poker is just good entertainment all year round. Now all you have to do is set up and have fun!